For his latest project, Saba Alizadeh will focus on silence. The pauses between speeches by past dictators. The little gaps they give in between emphatic phrases spoken to rouse their audiences. Silence, in fact, plays a big role in his music. 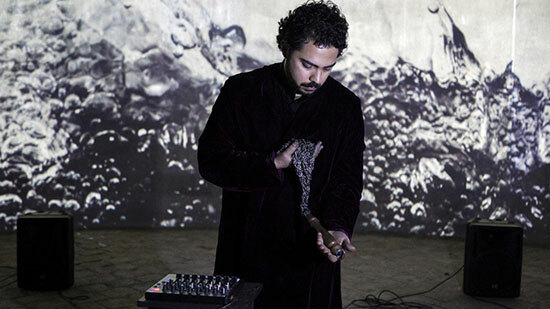 Alizadeh is an experimental Iranian musician and composer. He’s interested in exploring and pushing sonic boundaries through his daring electronic work, applying a visual arts aesthetic which he’s developed through his alternate life as a photographer. “You capture sounds and work with them. You treat that sound as an object, you mess it up, you reuse it, do whatever you want with that object. That’s my approach to working, composing, recording music: find sounds and mess with them and create a new spectrum of colours to work with, as either harmonies or melodies,” he says. His audio experiments — a mix of Persian instruments that he plays, electronic compositions, and field recordings and found sounds — have a lot of space and subtlety within them; they breathe freely, languidly. Silence is used almost as a motif, developing and enhancing moods. This, he feels, could well be a result of his understanding of the Radif system of Persian music — similar in spirit to the Raga system of Indian music. Now in his mid-thirties, Alizadeh has been playing music since the age of four, when he first picked up the piano. Next in his journey was the tombak, a Persian percussion instrument, before he finally arrived at the kamancheh, a Persian bowed stringed instrument, at the age of 10. His mother took him to watch a kamancheh recital, sparking a lifelong interest in the instrument. Alizadeh was surrounded by music at an early age thanks to his father, the respected composer and musician Hossein Alizadeh, a pioneering figure in Iranian contemporary music. He is an accomplished kamancheh player today, having started playing professionally at the age of 18. He has performing all over the world as part of the Hamavayan Ensemble, led by his father. Additionally, Alizadeh has been part of a handful of bands, including the Nour Ensemble — which was a nine-piece drawing from ancient European music, traditional Persian music, as well as Kurdish music — and The Land Trio, which featured the kamancheh, the tabla, and Latin American plucked instruments. Alizadeh explains how his training in Persian musical traditions may have subconsciously informed this theme of silence in his music. “The Radif system,” he explains, “is different phrases put together. The amount of silence you have in between each phrase matters. It sounds different if you play with the proper amount of silence, or if you play with less silence.” He draws a comparison to Japanese musical cultures, which also focus considerably on this specific element. In addition to the project involving the pauses in speeches by dictators, Alizadeh is also working on a solo album right now. 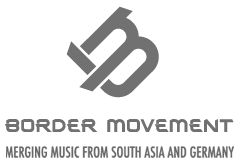 Further, he’s been performing with Andreas Spechtl for the past year or so, after the two worked together during Spechtl’s time in Tehran for as part of BMR: South Asia. They recorded some music together, which they plan to release once the logistics are figured out. He teaches music, performs live, does film scores, and conducts workshops. Plus he’s a photographer, specifically working in the realm of experimental staged photography. 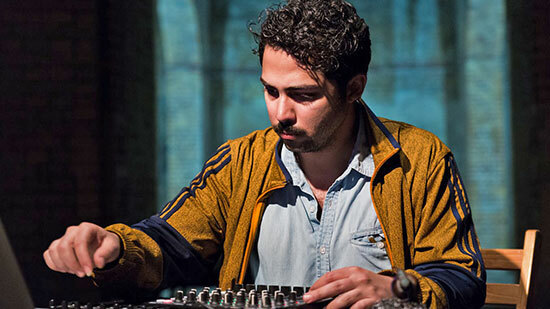 Alizadeh was originally reluctant to bring his classical training into his electronic production. “I was prejudiced about mixing them both. They’re two different art forms,” he says. But upon further contemplation, especially after his collaboration with Spechtl, he developed an understanding of how that overlap could work. He’s been merging the two seemingly disparate forms a lot more these days, treating them as “colours” that he can use in his compositions. That said, there are some concerns that exist. There’s the classic challenge facing any young scene: how to survive as an artist. Most of the musicians involved in the community end up doing other things on the side, since the majority of the money is reserved for commercial music. As a result, independent art doesn’t get heard enough. “It becomes a hustle to be an independent artist and not be linked with any big money. But you find your ways around it.” Most artists, thus, also end up working on commercial music, some have day jobs, some end up teaching on the side. He also points out that it’s still a “copy-paste” culture, where the technology — parallel to which a lot of electronic music was originally developed — has been imported but not quite the philosophy or the thought processes around it just yet. But Alizadeh remains optimistic about what’s happening in Tehran; it’s a young scene with lots of exciting things on the horizon.